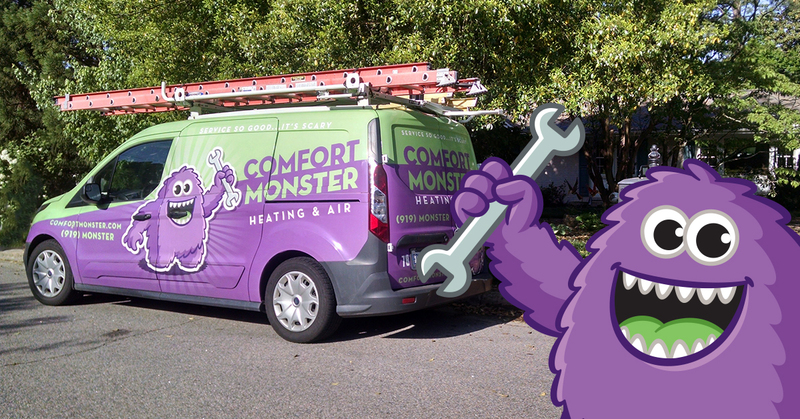 Choosing an HVAC service and repair company can seem daunting — There are so many choices, from the moonlighting handyman “friend of a friend” to the big company with an army of employees that’s been in the business forever. So how do you choose the right company for you? Using our experience and knowledge of the business, we’ll guide you through the things to look for that will help you make a good decision. There’s nothing quite as good as a direct referral from someone you trust. Asking a few friends and neighbors about who they have used will help you gather a few opinions based on their experiences — who is good and who to avoid. Use your own knowledge of the people who give you opinions to evaluate what they say – It makes sense to ask people who you think share the same considerations as you would for service. In other words, if you know one neighbor to be a cheapskate who never returns your tools, you might see their opinion in a different light from that of another neighbor whose home is always properly taken care of. Reviews are a great way to get a broader opinion about an HVAC company you are considering. Every company is going to have some technicians who are better than others, so if a company has some raving reviews and others that are terrible, that might indicate a consistency problem where you may not know what you might get. Every company is going to have a few bad reviews, so reading those plus the responses (where possible) will give you some insight into how the company handles problems. One way to try out an HVAC service company before you really need them is to get your HVAC system cleaned and tuned before the extremes of summer or winter. There are lots of benefits to having a well-maintained HVAC system, so having someone come out to provide proactive service is always a good idea. Hopefully you’re doing this research ahead of time as a proactive homeowner and not while listening to your family complain about how uncomfortable the house is and asking when you’re going to get the HVAC fixed! By learning more about the company or companies you’re considering, you’ll start to get a feel for what’s important to them and whether that aligns with what you’re looking for. Are they involved in the community? Do they seem to have strong values? Every company will have their strengths and weaknesses. A common refrain in the service industry is: “You can have it cheap, fast, or done right. Pick one.” You are often looking for a blend of those attributes, but the adage basically holds true. Anyone who does things fast or cheap probably isn’t doing it right, and if it’s done right it probably won’t also be fast and cheap. What’s important to you? Do you have to go with the cheapest option for cash flow reasons? Keep in mind that if you can get financing for the right repair, it likely will be the cheaper long term option. Or is speed the most important thing? Whichever way you go, find a company that will give you what you’re looking for. Get to know the reputation of the HVAC companies you’re considering — Ask your friends and neighbors who they use and if they’re happy, and look at reviews of those companies and any other companies with great reviews. If you have a chance to get a pre-season tune-up, you’ll be able to interact with the technician yourself and gather impressions of them and their work style– And with any luck, you’ll prevent even having HVAC problems when the weather gets extreme. You’ll get the best service if you take the time to find a good company and build a relationship– That way, you’ll have a company and people you know you can trust when you need them.